Grow your business, streamline workflows, and close loans faster with Blend. An intuitive digital application that your customers finish in minutes — anytime, anywhere. 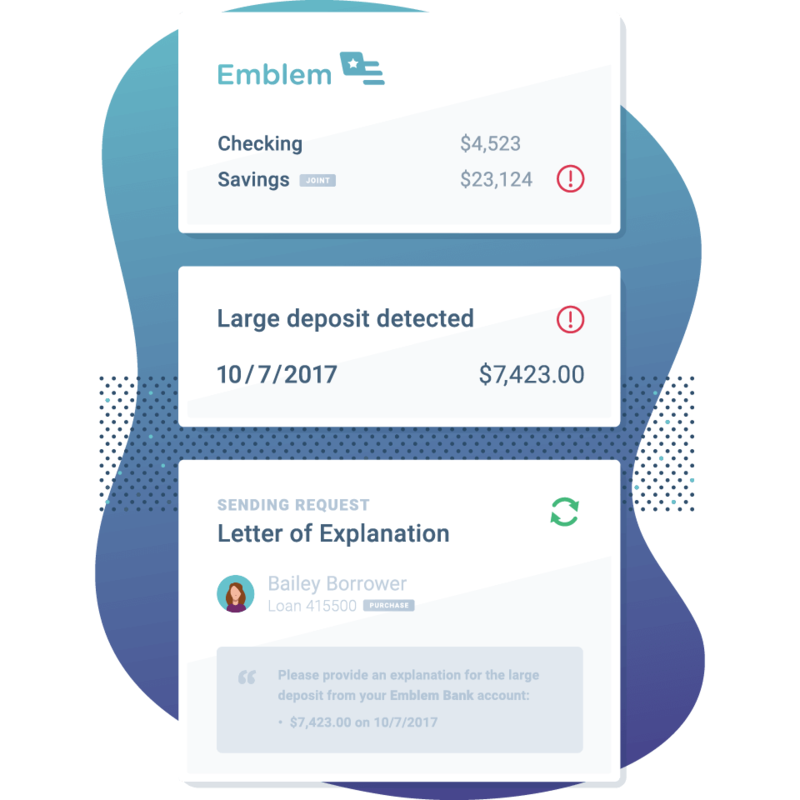 Guided workflows make it easy for customers to understand the process and connect their data, producing an accurate file to help you close more loans faster. Customers who start an application in Blend finish 80% of the time — an industry best. All the tools you need — in one place — to support customers and shorten loan cycles. Verified data and intelligent conditioning drives operational efficiency and quickly gets you a decision-ready file. On average, Blend cuts 7–10 days off the time it takes to close a loan. Go beyond simple automation and ready an application for decisioning in days. Blend removes manual, error-prone tasks and uses machine learning to reduce processing steps and streamline follow-ups. 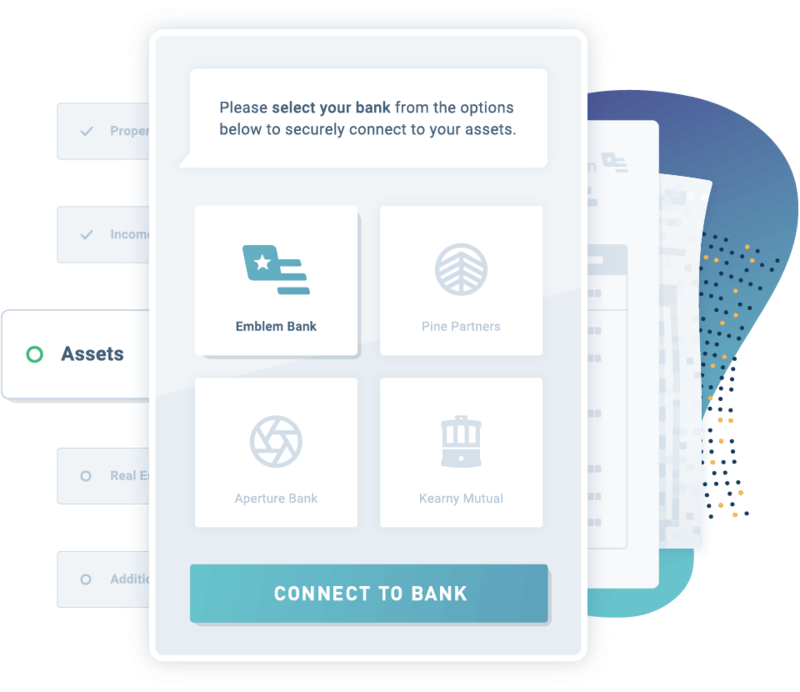 Blend identifies and automates 65% of conditions at a top 5 bank. Blend integrates with your current technology for rapid deployment so that you get to market faster. 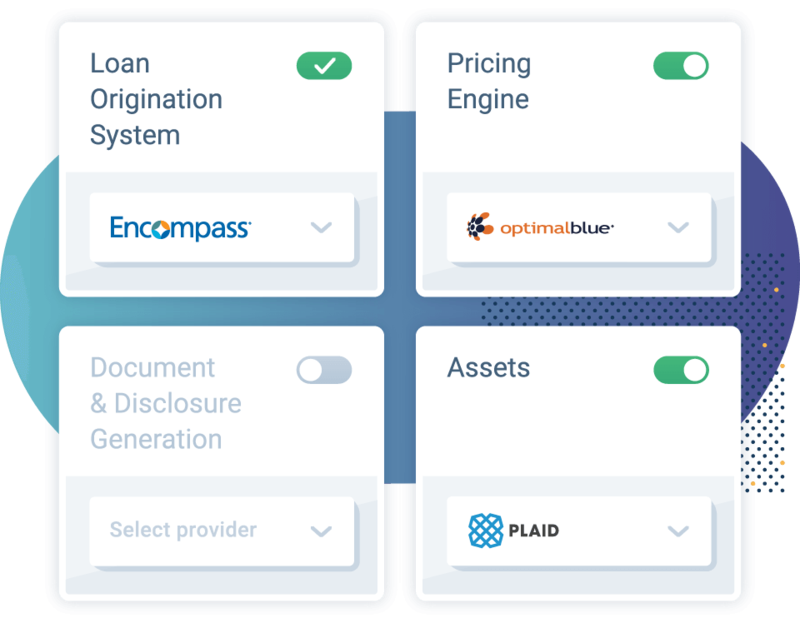 Seamlessly bring together everything from your CRM to your LOS in a platform that centralizes and secures the data and documents needed to complete a loan. The partnership with Blend has allowed us to significantly accelerate our time to market with an industry-leading customer experience. Blend’s dynamic online application, data services, and customer connectivity allows us to focus on our strengths as a trusted advisor offering a broad range of products to help customers achieve their homeownership goals. 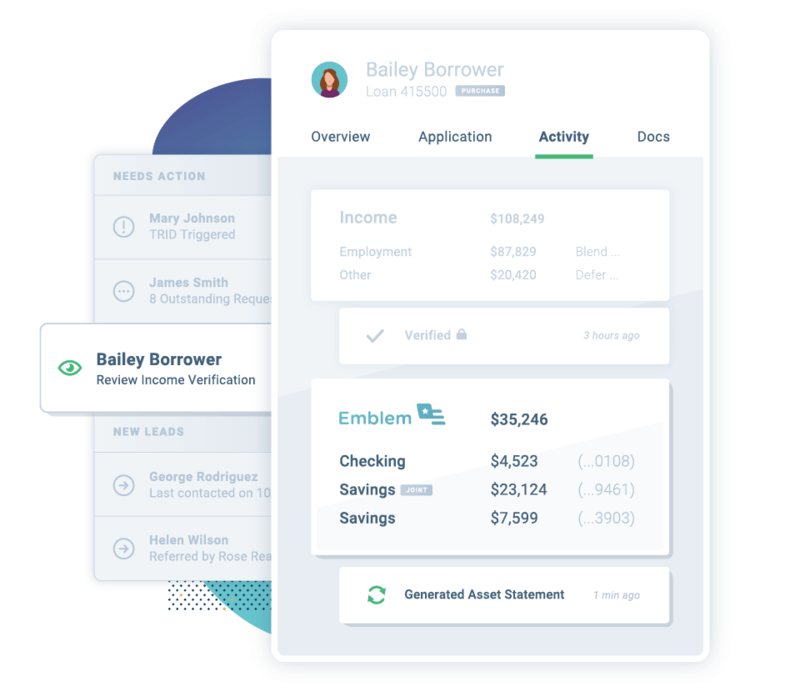 Blend helps you stay ahead when it comes to meeting the needs of a dynamic lending environment. Track customer interactions with automatically generated audit reports and stay compliant with continuous platform updates. Accelerate your origination process with Day 1 Certainty® by Fannie Mae. As an approved vendor, Blend provides a quick and automated way to verify assets while providing relief from representations and warranties.